We had an amazing time out with Nicki Bluhm and the Gramblers. The show on Saturday at the Independent was massive good times. Thanks to all of you wedding party members. Here’s a sweet photo of us to keep in the warm cockles of your heart for the chilly autumn days ahead. We are in Felton, California right now. On the literal doorstep of home. My lady and my baby girl are only 2 hours away, but I won’t see them for another 48 hours! Oh cruel fates! Oh callous world! Oh, fie! Fie upon thee, fickle gods of weekend logistics! We’re gearing things up for our halloween / Wedding Party show at the Independent in SF this Saturday. If you’re not sure what that entails, you might want to investigate our facebook and twitter and instagram pages. We’re pretty good about keeping those things choke-full of pictures and interesting tidbits whilst we’re out touring. What I can tell you right now is that we will have a blushing bride amongst us and her maid of honor (matron?). Hope you already have a ticket to that stuff because this is going to be good times. I’ve been on a mission to find a pair of shoes since my last pair got wet and moldy in Missouri. Still no luck. It turns out that tall people hate to donate their shoes to thrift stores. Also turns out that new shoes cost buckets and buckets of money. Dear world – please start a new thrift store just for men over 6 feet tall. Have one of those little “you must be this tall to ride” boards out front. We can gather and talk of (…. wait for it… ) lofty things (BAM!) and lean on counters built extra tall, and exchange stories about shower heads in hotels, low hanging pots and pans in kitchens, and how great it is to have our own thrift store. It has been lovely being back in California. We stayed with Ryan’s family in LA again, which is always glorious. Nothing like feeling like you’re home (even if it isn’t necessarily yours) to unburden some of the road-weariness. We played the Troubador Monday night. Family and friends came out in spades. It was awesome. There are some great photos that the LA Record took of the show that you can find by clicking on these words. The next night was Santa Barbara and we got to rock out with the Rainbow Girls again. We rocked their CD on the way up. It is rowdy and powerful and awesome. We give it thumbs up. Hope you can meet them soon! Last night we were in San Louis Obispo. Also very awesome. We met great folk down there at SLO Brews in June, and it was so good to see familiar faces come out and party with our new friends. Now I’m in a cafe in Felton preparing for the Don Quixote’s show tonight, and getting kicked out of a cafe…. because it is closing. More details in the future! San Louis Obispo was so sweet to us that we are all staying there. No more touring, no more music. We will now be pursuing our dream of making delicious tacos full time. See you at the taco shop. We’re heading to the NW in November – opening up for Donna the Buffalo! See you soon folks! 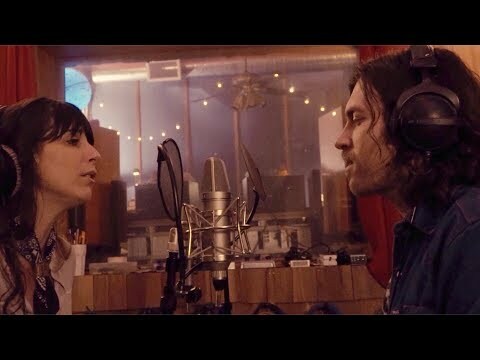 We have added the Nicki Bluhm duet, Morning Time, to the buffet table of Noise Trade free downloads. The Scout and Pie for Breakfast are also on there for your free listening pleasure. Just click your way through the ‘ol widget over there to the right and have them for your very own! For Free! Some sadistic writer somewhere in the vastness of the internet made a list of the 10 best burgers in San Diego. Mr. Peabody’s was on there. Like hungry lambs to the greasy slaughter, we rushed headlong to our doom. Mr. Peabody’s doesn’t have the top 10 burgers anywhere. They are burgers. They are edible. They are not, at first, terrible. They did, however, rise from their digesting grave and wreak a zombie apocalpyse upon us. The show last night with Rainbow Girls and River City was so damn fun. Those Rainbow girls are a travelling, harmonizing, dancing, shredding groove party in a van. Alex (hit hardest by the evil Peabody) was an absolute champion on the stage last night. You’d never know that armageddon was being waged in his body whilst he banjoed and sang. Today is a mellow, cloudy, rainy Los Angeles day of recovery and rehearsing. Tonight, recharged and full of vim and vigor, we shall take the stage of The Troubador in LA and reunite with our favorite band, Nicki Bluhm and the Gramblers. The esteemed Dave Mulligan of Nicki Bluhm and the Gramblers, is an Arizona native. He has spent time in both Tucson and Tempe. This means he knows the legit places to eat. We hit him up for the hot tips, and made a day of eating amazing mexican food in small out of the way places. Guero Canelo is a small shack, and a lot of covered picnic-benches-painted-red-white-and-green seating surrounding a luscious salsa bar. You order meat by the pound, get a stack of tortillas, and go to town. It was awesome. Meat by the pound is such a liberating concept. Taco? Burrito? Mixed Salsa soup with chicken and beans? Sure! You’re only limited by your imagination!! We drove full-bellied into Tempe (after a much needed stop for coffee and computer time). I guess not tooooo full-bellied. By the time we rolled into town it was just about time for round two. This time our wise and noble guide, Dave (you’re a legend, Dave…), told us to go to Rosita’s place. A family owned, down-home, rootsy and amazing little cantina-style restauraunt. The server is the woman who started the restauraunt 50 years ago. The food tastes just like it would if your mother (like mine) was a brilliant cook, who invested dishes with good food, and tons of love… but grew up in Mexico slinging Mole and Carnitas. It was glorious. We ended up at the Sail Inn in Tempe, and had a damn good time. A very, very damn good time. The Tempe crowd was awesome. Dear Ike, Mustache Joe and the rest of you beautiful fun people – we’re sorry we lagged loading up our stuff and getting things into the van. We hope to see you next time, and we’ll make music at the house happen, dammit anyway. We are currently driving through the Mad Max wasteland between Arizona and San Diego. If we don’t run into any mutant gangs in search of slaves, scrap metal and gasoline, we should just make it to The Griffin in time to do a load of laundry before we rock the night away with The Rainbow Girls. 7.) and doing it all in the comfy glory of our van. We played at Club Congress in Tucson, AZ last night. It is a lovely venue. It is also the infamous location where Mr. John Dillinger was finally captured. His plan of escape, as it turns out, didn’t work. We played, we ate delicious food, and then we went to relax in the bar and get our Gramble on a bit. And then – lo and behold – who should we meet but the amazing and altogether lovely Kristen Schaal. You may know her as Mel, from Flight of the Conchords. We were star struck. We hung around in the ajoining booth, hoping to find a non-intrusive opportunity to praise and adore her, and beg for a photo with the band. What happened instead is we sat and watched as an endless parade of drunken, cro-magnan, underdeveloped and inarticulate Ex-but-not-reformed-Frat-Men barraged the table with all kinds of drunken awefulness. I snuck in a “we love you’re work, thanks for what you do” as we finally filed out of the bar, ashamed of our fellow humans. Arizona is hot, people. Anywhere that cacti are just growing naturally might be a place that you would say “hmmm – maybe we’ll think twice before we build giant cities here…” The upside is killer and delicious tacos, gorgeous night-life and night-weather, and never worrying about anything getting rusty. Off to Tempe today, and then we’re goin’ (goin’) back (back) to Cali (Cali). Can’t wait to see the ocean again!